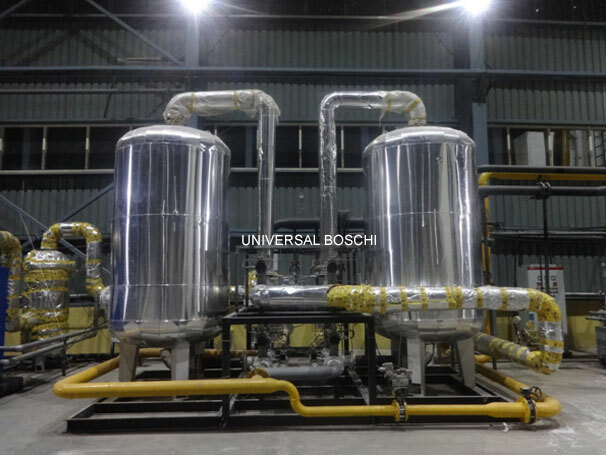 Tonnage oxygen, nitrogen and argon plant of our company is big sized plants, which are manufactured to generate oxygen, nitrogen and argon in both formats gases and liquids. 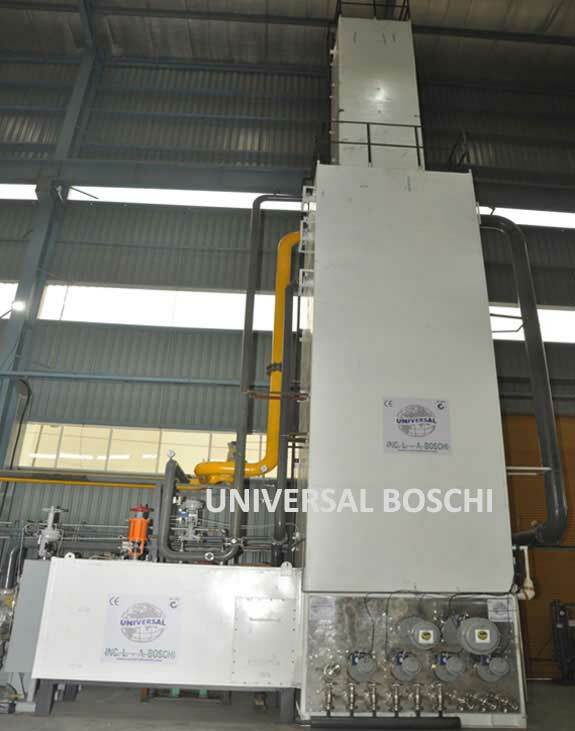 The capacity of the plants starts from 50 m3/hr to 10,000 m3/hr and generate oxygen and nitrogen with purity upto 99.7% and 99.99% respectively. Since our inception, we customized tonnage oxygen, nitrogen & argon plant solutions the world over and designed and built a number of such plants. We have international collaboration to manufacture and design our tonnage plants to meet individual customer requirements. 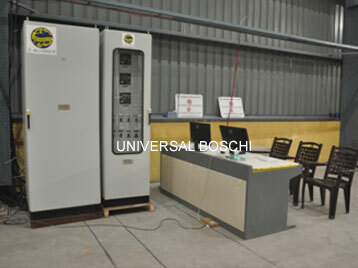 We also offer prefabricated solutions and can be delivered as packaged units all over the world. As the compressor is the heart of the plant and the main working machinery which consumes 90% of the power of the plant.Accordingly we can provide world class trouble free ZH series Atlas Copco compressors at extra cost with all our low pressure TOnnage plants.This compressor consumes 30-40% less power and is 100% breakdown free. 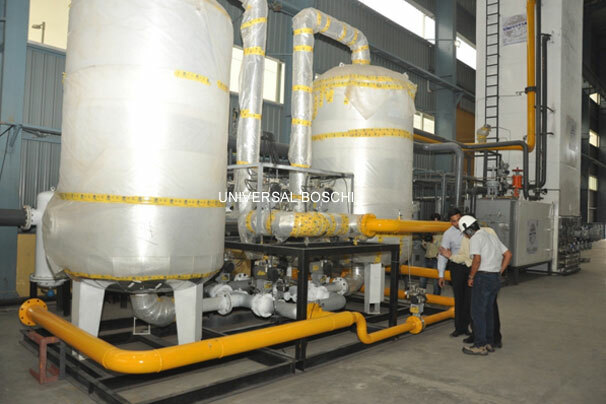 The air separation plant is plant recovering oxygen and nitrogen from air simultaneously. 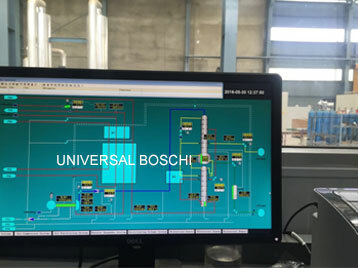 It advance low pressure technology process of Boschi Italy using Rotary screw compressor(or low oil free piston compressor) and turbo expanders. The feed air entering the Molecular Sieve purification system employed to remove the moisture and CO2 from the process air. 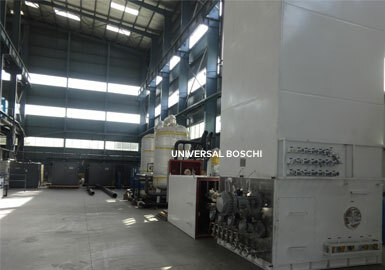 The air is liquefied by cryogenic cooling using latest plate and fin high efficiency heat exchangers and turbo expanders. 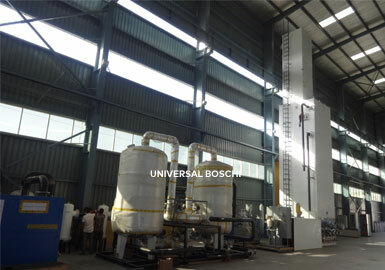 The liquid air separates into oxygen nitrogen and insert gases in the air separation column. Air Compressor-Low Pressure:- Air is compressed at a low pressure of 5-7 bar (0.5-0.7mpa). Air can be compressed at such low pressure by trouble free rotary compressor (Screw/Centrifugal Type advanced technology is employed in lieu of old bulky piston compressor). Pre Cooling System:- The second stage of the process uses a low pressure refrigerant for pre-cooling the processed air to temperature around 12 deg C before it enters the purifier. Purification of Air by Purifier:- The air enters a purifier consisting of twin Molecular Sieve driers, working alternatively. The Molecular Sieves remove the Carbon dioxide & moisture from the process air before the air enters Air Separation Unit. 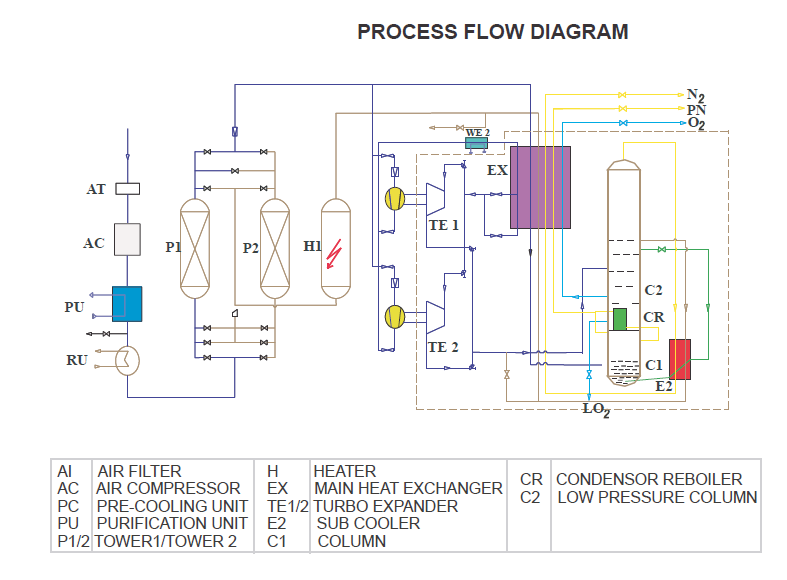 Cryogenic Cooling of Air By Turbo(Expander):- The air has to be cooled to sub zero temperatures for liquification & the cryogenic refrigeration & the cooling is provided by highly efficient turbo expander, which cools the air to temperature almost below -165 to -I 70 deg C.
Separation if Liquid Air Into Oxygen and Nitrogen by Air Separation Column:- Oil free, moisture free and Carbon Dioxide free air enters into low pressure plate fin type Heat exchanger where the air is cooled below sub zero temperatures by air expansion process in the turbo expander. Due to the excellent thermal efficiency we can achieve a temperature difference delta t as low as 2 deg c at the warm end of these exchangers. Liquid nitrogen is available at the outlet at purity of 99.9% to 99.99% or 3ppm as required. Nitrogen gas is available as required. 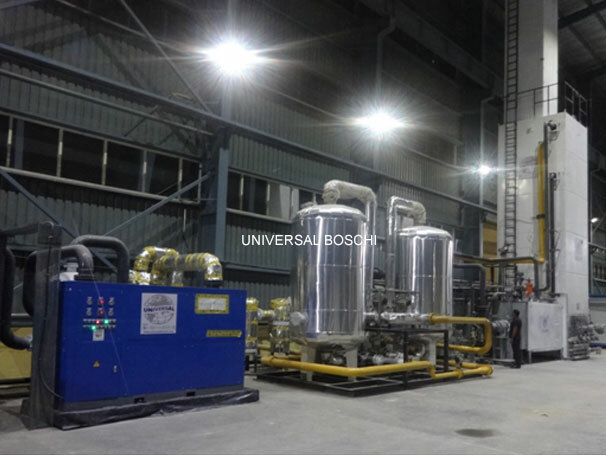 Final Product Liquid Nitrogen:- The final product in the form liquid nitrogen to fill in cryogenic liquid tanks for storage. 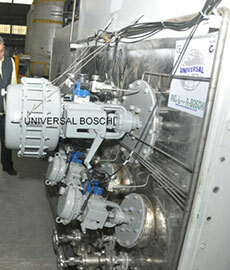 Low pressure oil free air compressors.